Growing a business is not easy. The problem comes in when you try to promote and no one seems to pay heed. The solution, as it so happens, is one that is simple yet challenging. Don’t toot your own horn, it is not appealing. Have someone else do it for you, an influencer to be exact. Where are the Influencers and why do you need them? The internet is a huge place with a lot of people in it. That is also where the influencers are and that is where you need to be. Finding them will be easy because all you have to do is research online and look at what all they are doing and promoting. They have the traction, they have the numbers and they are who you need to talk to about getting the numbers to work for you. You need them because they can get you the subscribers that you need. I guarantee that someone you know personally, maybe a relative, old schoolmate or someone you met in a gathering has followers on the internet. That is where you start. Just get in touch with anyone you know and you will see what I am talking about. This very immediate circle is full of people with internet appeal. They will be easier to approach. So the key is, everyone can be your influencer. Influencers know the power that they wield. They will be willing to promote products with a few requirements of their own and they can be found online easily through the use of hashtags. All you need to do is search for a hashtag like #sponsoredpost, #sponsoredby #subscriptionboxreview, #sp etc. There are so many more related to these ones and they will pop up as suggestions. 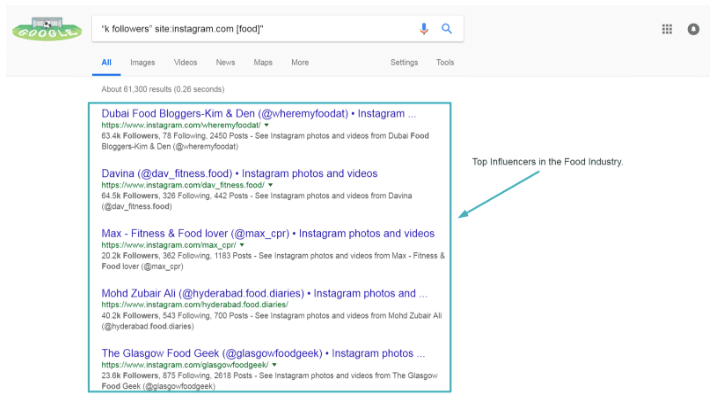 #Key: Here is a little hack to speed up finding influencers on Instagram. Go to Google and use the following search parameters. If you want to associate yourself with the more successful counterparts, this is something you will want to do. You can look at who the competition is associating with and take pointers on what choices to make. If your local competitors are not, someone similar to you in the world definitely would be using the influencers’ for Subscription box marketing. Just dive in deeper and see how they do it, associate with them and try to find the local influencers who can talk about your product to their audiences. If you want to talk to an influencer, you will need to have contacts that they check. For instance, you can use their business email to reach out to them. If you are not sure where to get the contacts for them, just check out the social media bios and profiles. They usually have their contacts on there. Apart from the emails, you can leave a direct message (also known as a DM). This will be on their Instagram accounts, Facebook or Twitter. This will increase the chances that they will see you. Now one thing remains. Your way of phrasing what you say and how you say it is very important. When making a contact, there is every chance that they don’t get/check the email. Which is why you need to follow-up and use as many/other channels available to get in touch. This was not easy a few years back but now that we have Klout, Kred, Buzzsumo, and Folowerwonk among many others, it is simple. Look at their policy for doing promotions and then see if it works for you. What is it that they are against? What do they support? Do you have the same values? As an example, do not try to pitch chemical bleach to an influencer who is all about the environment. No doubt, the influencer that you pick first would have done promotions before and that is why your pitch needs to be straight and simple. Try approaching the influencer as an individual person and be specific in what you need. People want to feel special. Just so am clear, I am talking about those emails that are the same for everyone with just the name changed. Do not use that on influencers. Address them as unique individuals and write a personalized, very specific message. Now you have influencers you have gotten in touch with. Let’s see what comes next. This is something that you should never skip. You need to know what you want to achieve in numbers that can be graphed and charted. These stats will enable you to know if the influencer approach is working. Are the promotions doing anything for you? You need to know if they are and by how much in terms of sales, profits, and revenue. I do not mean like blips on a map. I mean like promotion codes that can enable you to count how many people have been influenced. These promotion codes will enable you to track the numbers and how they fluctuate. With it, you can see what you are doing wrong and rectify where necessary. Set up your own Google Analytics program and see how the numbers are dancing. There are a lot of things to keep in mind before approaching an influencer. When you want to promote the products you have, do not put the words in the influencer’s mouth. This cramps their style and the people can tell when the message is not as authentic as they are used to. Allow them to talk about the products however they want. 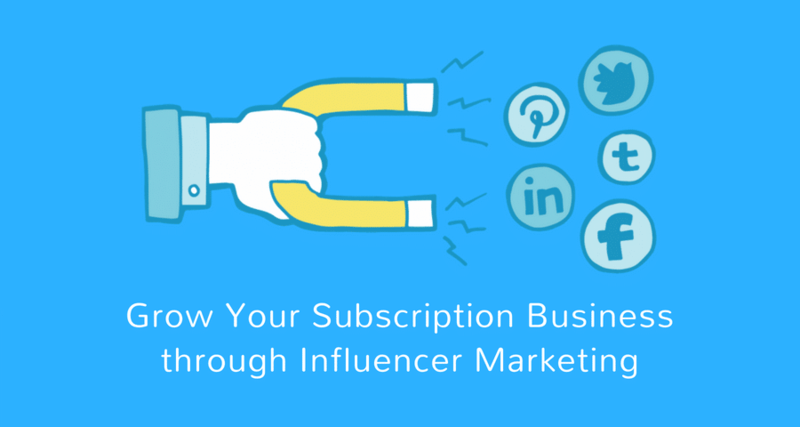 Subscribers have to be enticed, influencers have to be enticed and influencers control the potential subscribers. There is a pecking order and now that you know where to go first, this should not be that hard. Want to grow your subscription box business with subscription box marketing? Let us help you! Just write to us at [email protected] or fill up this contact us form.